Dr. Susan C. Allen, MSW Program Director, recently met with 40 students and 3 faculty members from Hardin-Simmons University, Abilene, Texas. 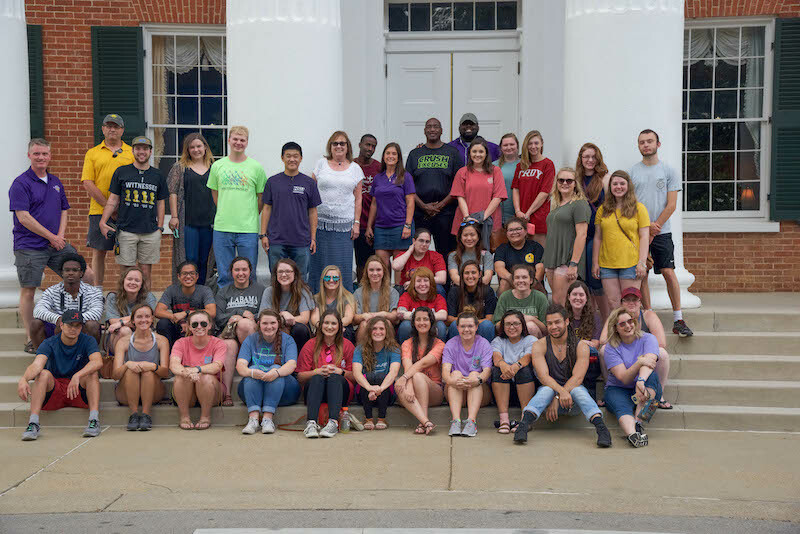 The HSU students and faculty visited the University Sunday afternoon, May 21st while studying significant events of the southern Civil Rights Movement. Dr. Allen led an interactive discussion about events surrounding the admission of James Meredith, and the University’s continuing efforts to create a more inclusive culture. Social work, psychology, and leadership students were interested in how Mississippi’s past experience with slavery and discrimination affects current educational, political, and social conditions in the state. The class is investigating the psychology of racism, engagement of diversity and difference, and organizations and leadership for social change. Dr. Allen was chair of the Department of Social Work at Hardin-Simmons before coming to the University of Mississippi.